The Good: …It's only like a flipping cartoon of Necroscope, innit? AWESOME! Paranorman manages to be kid-friendly horror without turning up the camp (Hotel Transylvania), and spooky without turning up the kooky (Frankenweenie), and in that respect it's like a blast of fresh air. Well, fresh air with a whiff of decomposing zombie about it. Its main strength is that it's a pretty solid ghost story, and that a lot of the humour is underplayed (which is a nice way of saying that I chuckled frequently but only guffawed once or twice). 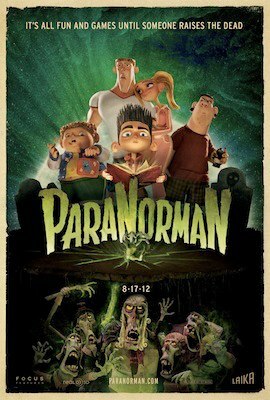 But Paranorman is more charming than any animation I've seen since The Pirates, and they both succeed by making the characters likeable without laying on the schmaltz, and funny without relying on fart jokes. There are plenty of verbal and visual easter-eggs for grown-up fans of the horror genre, but it's still inherently 'safe'. I'm not sure what the religious-right will make of it, but that's a subject for another post. The Bad: For all its strengths, the themes of fear, pack-mentality and social unrest and handled pretty ham-fistedly. As a result, anything that might have previously passed as subtext is essentially hollered out from the screen with a knowing wink. Maybe that's aimed at kid-level, but I think the younger audience are smarter than this script gives them credit for. The Ugly: Outside of the opening/closing titles, the 3D is fairly pointless. On more than one occasion I was able to look over my glasses and see pretty much the same thing, only lighter. This is another thing the film has in common with The Pirates, and it's worth noting that both movies are based on actual stop-motion rather than full-on CGI. Maybe the physical scale limits the capabilities of 3D? (for obvious reasons of special effects, there is CGI in Paranorman, but it's still not eye-poppingly glaringly 3D). All-in-all: I really enjoyed it, but I'm aware that the reasons I thought it was great are the same things that could disappoint the Burtonites. 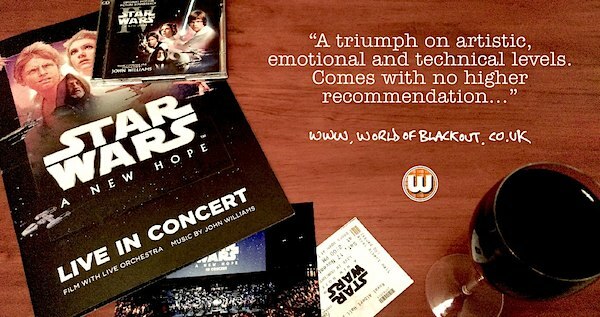 I'd recommend seeing it at the cinema just so you can witness all the model-work in its glory, but in all honesty, you probably won't lose too much by watching in on BluRay.